Ceres is the largest body in the asteroid belt between Mars and Jupiter and the only such object classed as a dwarf planet. 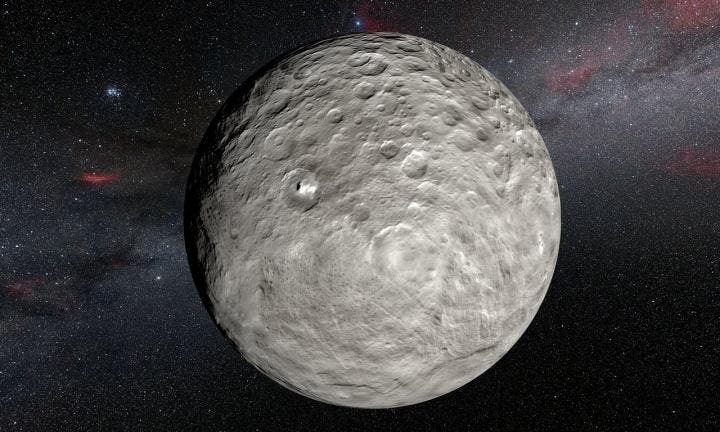 NASA's Dawn spacecraft has been in orbit around Ceres for more than a year and has mapped its surface in great detail. One of the biggest surprises has been the discovery of very bright spots, which reflect far more light than their much darker surroundings. Bright spots were also seen, with much less clarity, in earlier images of Ceres from the NASA/ESA Hubble Space Telescope taken in 2003 and 2004. 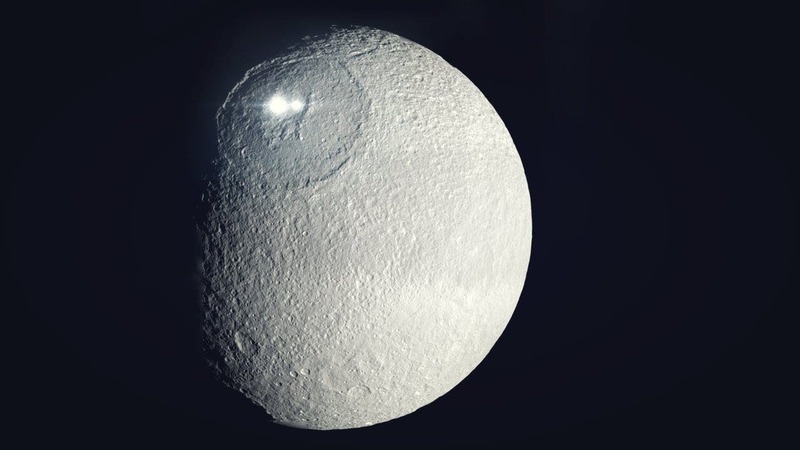 The most prominent of these spots lie inside the crater Occator and suggest that Ceres may be a much more active world than most of its asteroid neighbors. The artist's impression below is based on a detailed map of the surface compiled from images taken from NASA's Dawn spacecraft in orbit around Ceres. It shows the very bright patches of material in the crater Occator and elsewhere. New observations using the HARPS spectrograph on the ESO 3.6-metre telescope at La Silla in Chile have revealed unexpected daily changes on these spots, suggesting that they change under the influence of sunlight as Ceres rotates. The team concluded that the observed changes could be due to the presence of volatile substances that evaporate under the action of solar radiation. It has been suggested that the highly reflective material in the spots on Ceres might be freshly exposed water ice or hydrated magnesium sulphates. When the spots inside the Occator crater are on the side illuminated by the Sun they form plumes that reflect sunlight very effectively. These plumes then evaporate quickly, lose reflectivity and produce the observed changes. This effect, however, changes from night to night, giving rise to additional random patterns, on both short and longer timescales. If this interpretation is confirmed Ceres would seem to be very different from Vesta and the other main belt asteroids. Despite being relatively isolated, it seems to be internally active. Ceres is known to be rich in water, but it is unclear whether this is related to the bright spots. The energy source that drives this continual leakage of material from the surface is also unknown. Many of the most internally active bodies in the Solar System, such as the large satellites of Jupiter and Saturn, are subjected to strong tidal effects due to their proximity to the massive planets.